In 2011, Vestine began a new life in Utah with her 5 children. 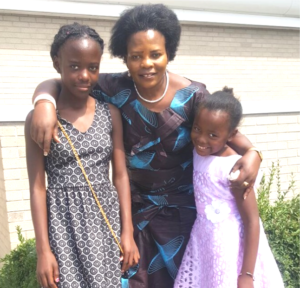 She arrived in the U.S. fleeing war in Burundi, though Vestine had already experienced war and genocide in Rwanda and Congo as well. Her husband died in those wars and two of her children are the product of gang rapes. She came to Utah seeking safety and a better life for her family. When she arrived, she was hospitalized for a host of behavioral health issues related to the massive trauma she experienced. But with sheer grit and the support of RIC-AAU, Vestine is now stable and giving back to the community as a certified peer support specialist. Two of her children have moved on to attend college here in Utah, and Vestine continues her journey.